Fed up with my nicked nails by the time I returned home from my weekly manicure, I wondered, "Do drugstore nail polishes really work? Is there an alternative to Shellac?" I'd been trying a couple of things to try to extend my manicure past, oh say, 2 hours, and I think I've found the solution in Revlon. 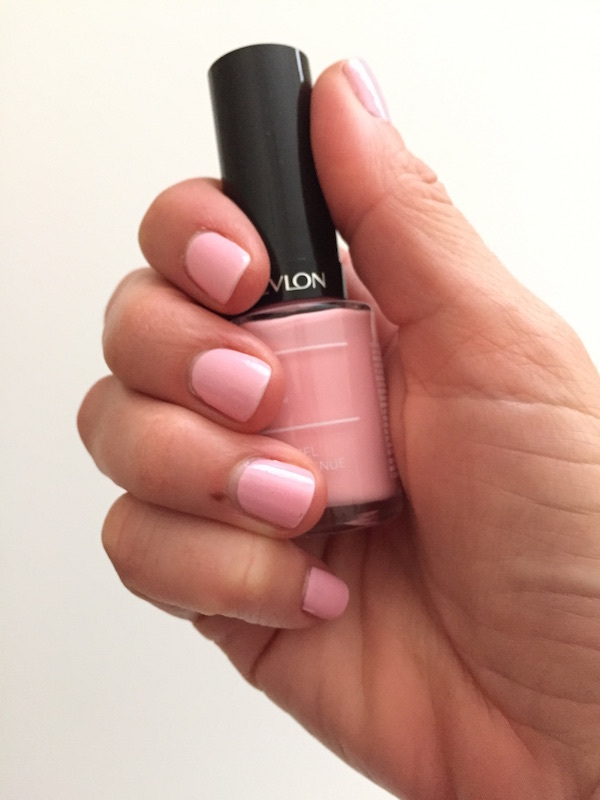 Yes, you read that right: Revlon! I'm so impressed with the durability of my newfound favorite nail polish that I've been taking it with me to the salon to get manicures. And no, I'm not being paid to say this! The photo below was taken 7 days after my manicure! But why, you might ask, do I not like Shellac or gel manicures? To me, they hurt. It hurts when it's time to take off the polish, and then my nails hurt for days afterwards, which makes me wonder what else is coming off my nails besides the nail polish. But boy did I love those 2 weeks of not worrying about my hands. Although Revlon ColorStay Gel Envy won't last as long as 2 weeks, but if you apply the topcoat every couple of days, I've been able to stretch my manicure to 10 days. And there's no UV light. I'm loving these Revlon polishes so much that I went out and bought 2 more colors! I hope you like it too.